Leaf tip burn, leaf marginal and/or interveinal necrosis, petiol and leaf necrosis fruit lesion and necrosis. Flumioxazin herbicide injury 5 day after application. Flumioxazin herbicide injury 7 day after application. 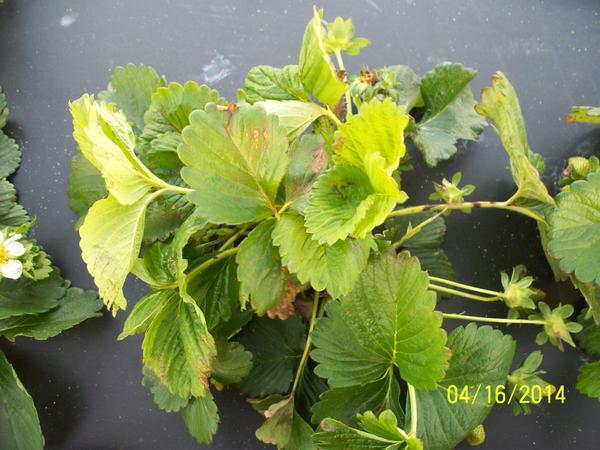 Flumioxazin herbicide injury 14 day after application. 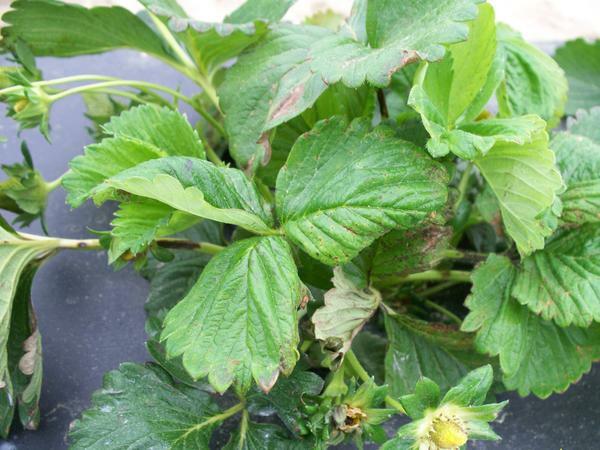 Flumioxazin herbicide injury 21 day after application. May be confused with other herbicide injury. Flumioxazin can be applied pre or post emergent to weeds. When applied post emergent a hooded or shielded sprayer should be used. No corrective measures are available. Do not use on fine soils or soils > 5% organic matter. Avoid drift to crop plant. 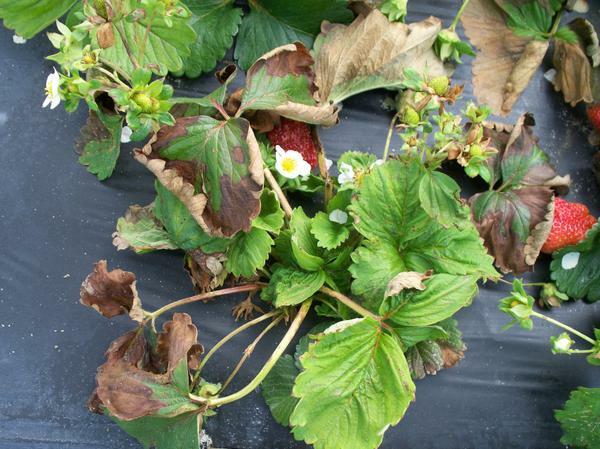 When used in matted row systems apply only when plants are fully dormant. 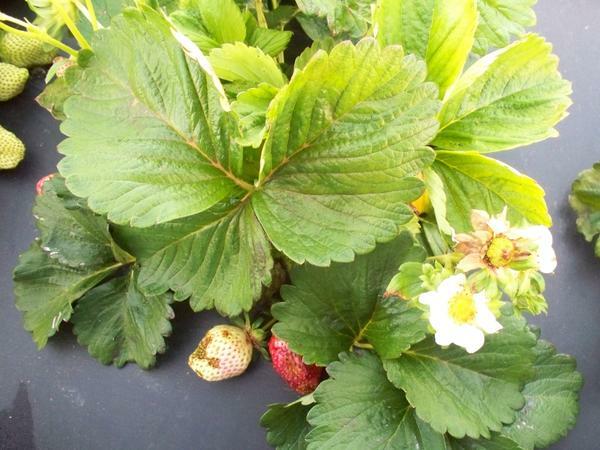 Funding was provided in part by the National Sustainable Agriculture Program: Sustainable Strawberry Initiative and the following sources.